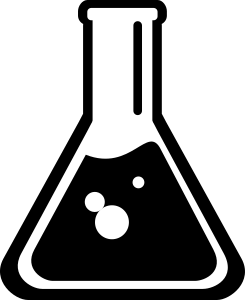 This post is especially timely for families of students at Newtown Elementary who may be considering a project for this year's science fair because registrations are due this week. The Boy Scouts of America has a special program for encouraging students to actively participate in STEM-related disciplines (Science, Technology, Engineering, and Math). I will be serving as a mentor for this special award and am willing to work with the boys from our den who are interested. To earn the award, the scout must complete the following requirements, which go above and beyond the requirements for the Arrow of Light rank. If you are interested in having your son participate in this program, please let me know by Monday, November 17 so that I can get the paperwork needed to be his council-approved mentor for the program. 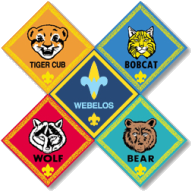 To earn the Webelos Scout Supernova award, you must be a Webelos Scout who is active with a den. With your parent’s and unit leader’s help, you must select a council-approved mentor who is a registered Scouter. You may NOT choose your parent or your unit leader (unless the mentor is working with more than one youth). If you earned the Cub Scout Supernova award, you must repeat similar requirements while you are a Webelos Scout. This Supernova award can be earned by Webelos Scouts like you. Find interesting facts about Dr. Charles H. Townes using resources in your school or local library or on the Internet (with your parent’s or guardian’s permission and guidance). Then discuss what you learned with your mentor, including answers to the following questions: What very important award did Dr. Townes earn? What was Dr. Townes’ most famous invention? Participate in a Nova- or other STEM-related activity in your Webelos Scout den or pack meeting that is conducted by a Boy Scout or Venturer who is working on his or her Supernova award. If this is not possible, participate in another Nova- or STEM-related activity in your den or pack meeting. Submit an application for the Webelos Scout Supernova award to the district Nova or advancement committee for approval.